Should I apply for the 2016 Match season? 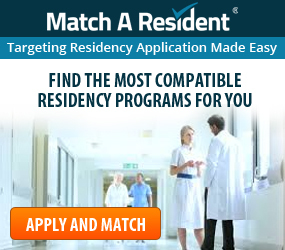 Perhaps the #1 question facing U.S. medical residency applicants is: Should I apply for the 2016 Match season? To be clear: the decision to apply or not, and which programs you apply to is up to you, the residency candidate. In order to apply for the 2016 Match, you should have your supporting documents together (Letters of Recommendation, Personal Statements, MSPE, etc.) and have taken at least Step 1 and Step 2 CK with the Step 2 CS scheduled before the end of the year. Beyond those requirements, you never know if a program will decide to give you a chance or not. So if you ask, “Do I have a chance? ‘Yes or no?’” unless the answer is directly from a program coordinator, there is no clean cut answer. 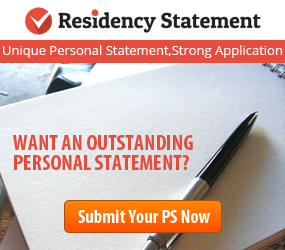 It will always depend on you, reflecting the strength of your overall residency application. Everyone has factors they should consider before sending out their applications starting mid September. To help guide you, here are a few scenarios and suggested paths to take. Ok, so you have completed USMLE step 1 and 2 CK and your Step 2 CS scheduled before the end of the year. You’re worried about sending in an application without the CS exam results (which also means you won’t have your ECFMG Certificate by the time of application). You should definitely start applying. Look for programs with slightly more liberal or “looser” requirements when it comes to the ECFMG Certification. You want to find programs that do not require the certificate at the time of APPLICATION. This buys you time to get everything done. Applying sooner is better than waiting until you have all of your USMLE Step scores in hand because you better believe everyone else will be applying in September and you do not want your applications to get lost. However, please be aware that if you do not have your CS scheduled by the end of the year, you will not be able to participate in the regular Match (see Post Match information below). There is a lot of heresay about having attempts on the USMLE Step tests. Common opinion on the forums is that this is death to your application. The short answer is: it’s not. Some very strict programs require passing on the first attempt, but this is not all programs. You will have to research the programs that don’t mind attempts, but programs are out there. Attempts are not as critical to programs as other parts of your application and many programs are more interested in your application as a whole. Make up for attempts with strong application components. Also, not only does having attempts not matter as much as you think they do, but the number of attempts is not as weighty as you would imagine. If a program accepts one attempt, that means they are already accepting of attempts, so what’s a couple more?. Here’s where it gets iffy. Honestly, at this point, you’re probably not going to get a regular match for this season. But, there’s always the Post Match/SOAP! Have registered with NRMP by the Rank Order List (ROL) Deadline on Feb. 24, 2016. (Register by Nov. 30, 2015, to avoid the $50 late fee). 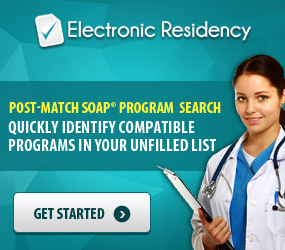 Are eligible to enter a residency program by July 1, 2016. You can apply in the Post Match and try to make something of this season. Ok, I will be honest with you, US clinical experience (USCE) is very important. Many programs have it listed as a requirement for their applicants because it shows them you can work hands on within a US medical environment. However, this in itself is not the end of your application. USCE is good for programs to see and better for you to get US Letters of Recommendation. If you can at least get strong LoRs from your current experience, write your MyERAS application and Personal Statement to show you are excited and willing to learn in the US, than you have a shot. 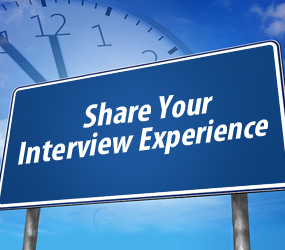 At least try to get current USCE through a clerkship, externship or a subinternship. If you can’t, do your best with what you have. Similar to a lack of USCE, graduating more than five years ago is not ideal, but you can work with it. Some programs require being out of school for less than a certain amount of years, but not all programs care about cut off time since graduation. What matters most is what you did during that gap. Rather than focusing on the length of the gap in your Personal Statement, let them know the work you were doing to improve yourself as a doctor. For example, don’t say “I was out for six years,” and leave it at that. Explain what you have been doing for the last six years. Be honest and positive about your activities and show the programs you didn’t waste that time. Programs don’t want to feel like older candidates want to come in and take over and ignore the program’s protocols, or that they are just a stepping stone. Make sure they know you value what they have to offer as a part of making you a better doctor. But, if the opportunity presents itself, you can let programs know you would be happy to help guide less experienced residents, but only within the program’s frame of operation. Also, be sure to strengthen the rest of your application. Ideally, you would have fresh Letters of Recommendation from US Clinical Experience, well crafted Personal Statements and a complete, error-free MyERAS Application. Research programs that fit with your credentials and what you have to offer. Call and ask if they require USCE or what their minimum USMLE scores are. If you need any help with your research, visit Match A Resident for program lists customized to your specific information and each program’s requirements. Regardless of your circumstances, if you are ready to put in the effort to make your application as strong as it can be, you should at least try for this year’s Match rather than wasting another year waiting.